Another power outage and you are stuck inside in the dark. It is easy to understand the feelings of frustration, insecurity and helplessness. But there is something you can do right now that will prevent you from every having to endure another minute spent in the dark waiting for the power to come back on. Get a whole house generator. 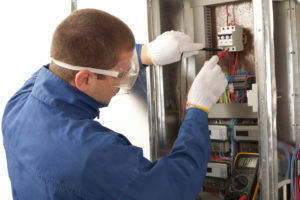 Every single appliance and system in your home depends on a supply of electrical power to operate. Whether it is your HVAC system, your security system or your refrigeration appliances, you need electricity for them to operate. Lights, TVs, computers, video games, alarms, fans, washers, dryer and dishwashers – all these items in your home require power. Without it, they are just occupying space. 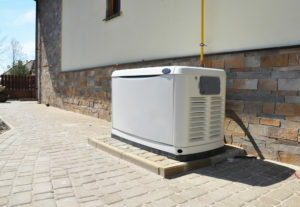 A whole house generator is a must-have for Waukesha, WI homes. Power can go out without a moment’s notice and does not always just go out because of a weather-related crisis. Waukesha and much of southeastern Wisconsin has an aging electrical grid which is subject to malfunctions, operator error and vehicle accidents which can down power lines. These outages can happen whether you are at home or at work or if you are on vacation. How would your home fare if it were without power for a week? Would your sump pump work for that long? Would your security system keep your home protected for that long? Probably not. A standby, or backup home generator is the system that keeps all the other systems in your home working when everyone else in your neighborhood is lighting candles or looking for a flashlight. 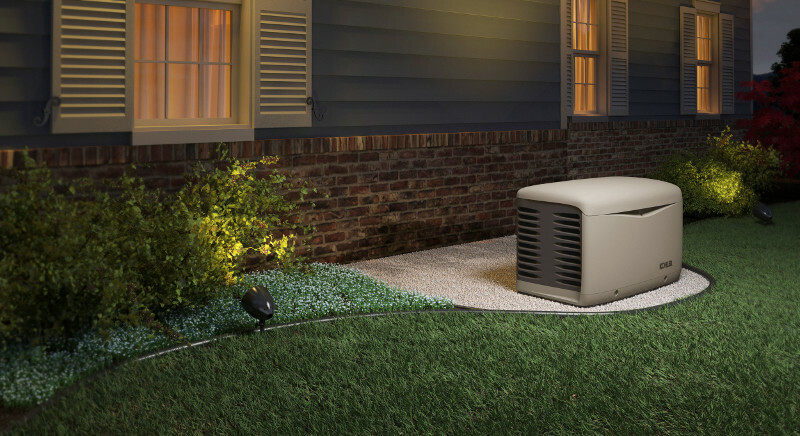 It will run your HVAC system – keeping you comfortable on cold nights or cool on sweltering days. It will make sure your sump pump keeps pumping and is not limited by the charge in your battery back up. Lights stay on, your media devices work properly and your family stays calm because everything appears normal…because it is normal. A generator makes its own electrical power with a motor that is fueled by either natural gas or propane. These fuels are virtually inexhaustible and it is not unheard of for a generator to operate for weeks after a severe storm that impacts an entire electrical grid. 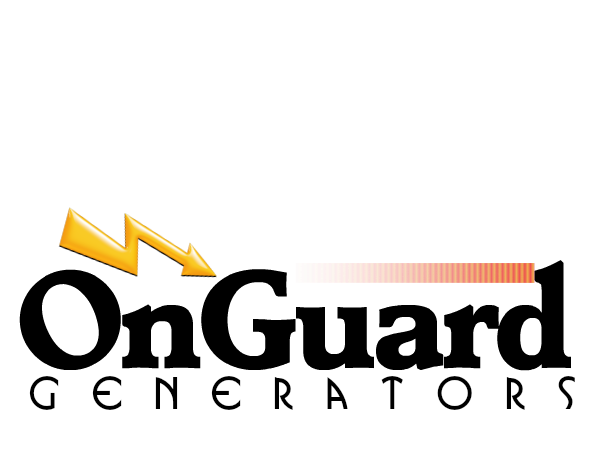 The generator has sensors which detect when power is out and turns on automatically. You don’t have to run to the garage, wheel out a portable generator, fill it with gasoline, get extension cords and do all this in the driving rain. Your food stays safely chilled in your refrigerator. You can still get work done at home and your kids can still get their homework done. You can do laundry, cook dinner and enjoy the comfort and peace of mind knowing your security system is operating. When power is restored, it will also turn itself off. Call us today and let us do an assessment of your home’s power requirements. It is free. Our technician will let you know the optimal size of generator for your home based on the circuits you want to power. How long can your family last without power? The answer is indefinitely with a whole house generator.